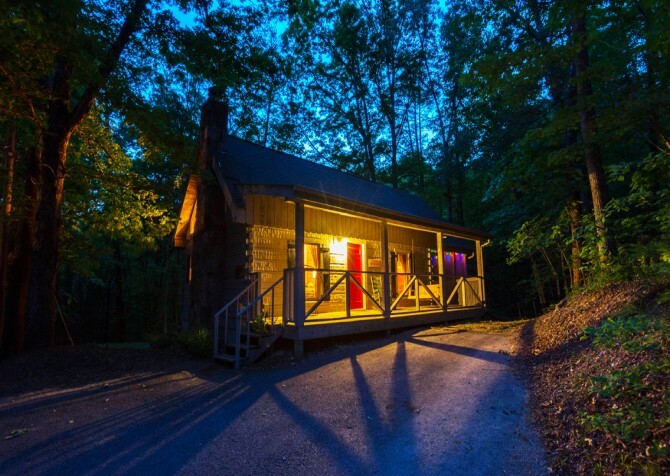 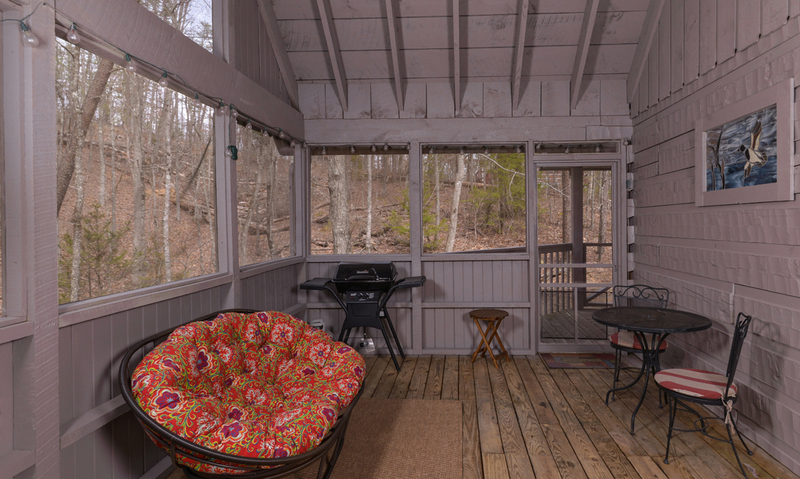 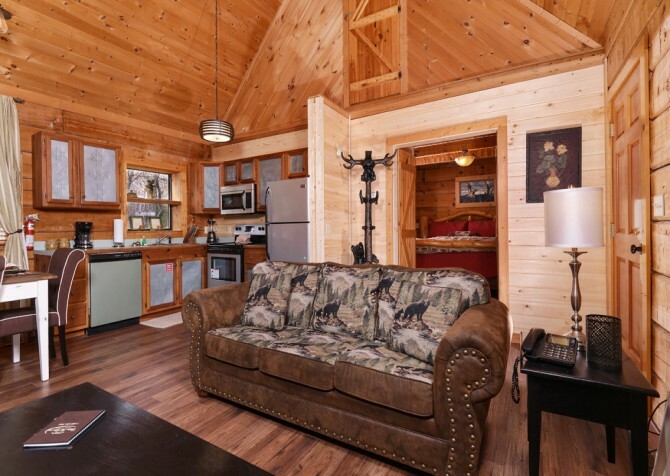 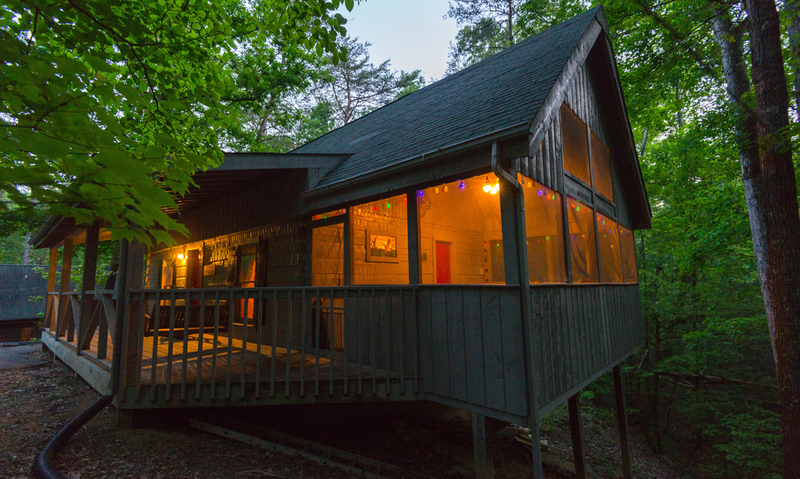 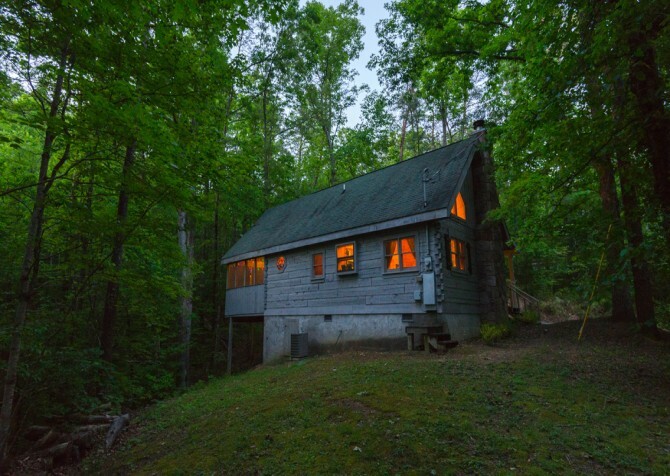 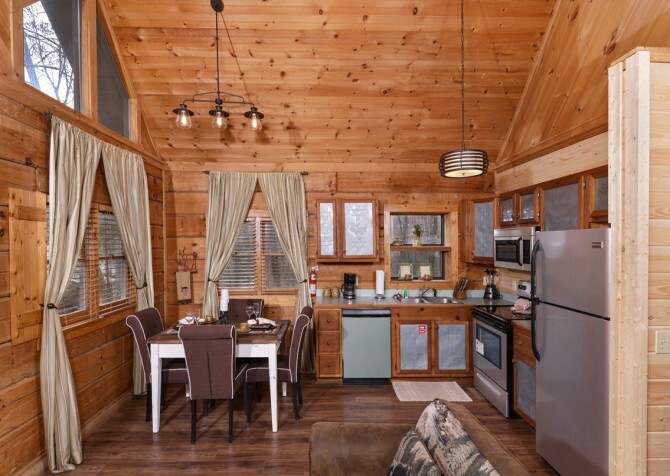 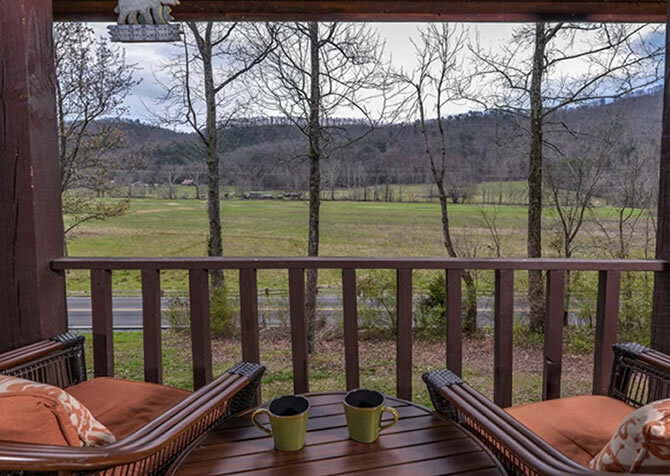 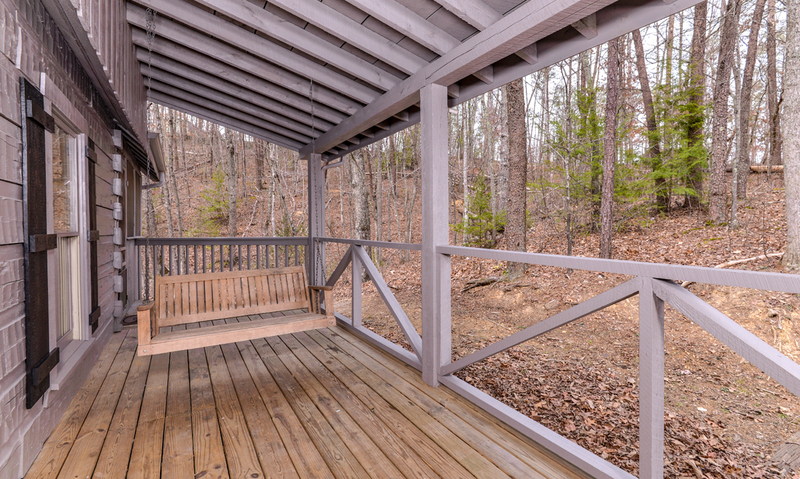 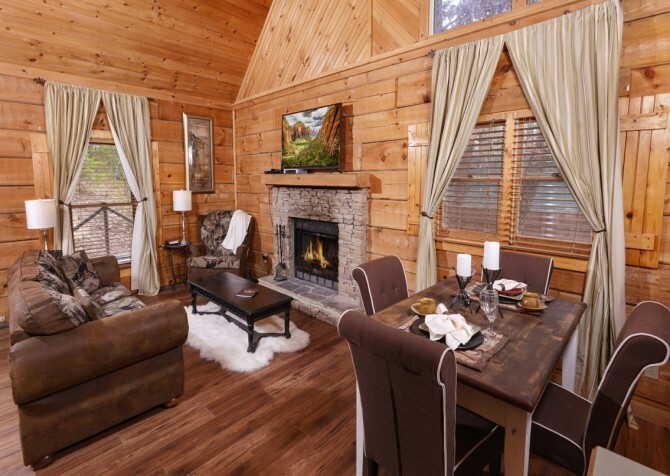 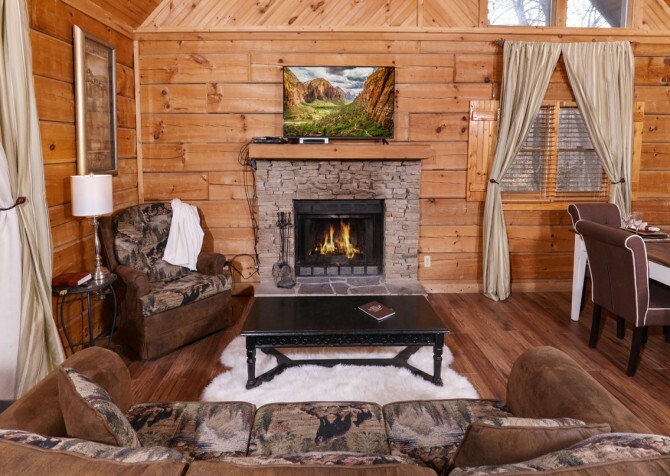 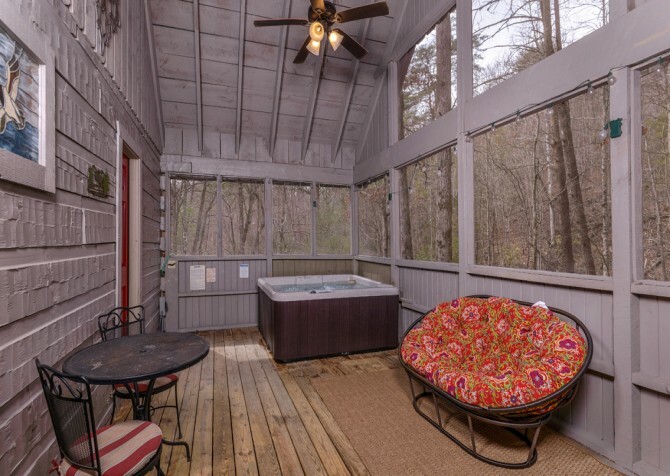 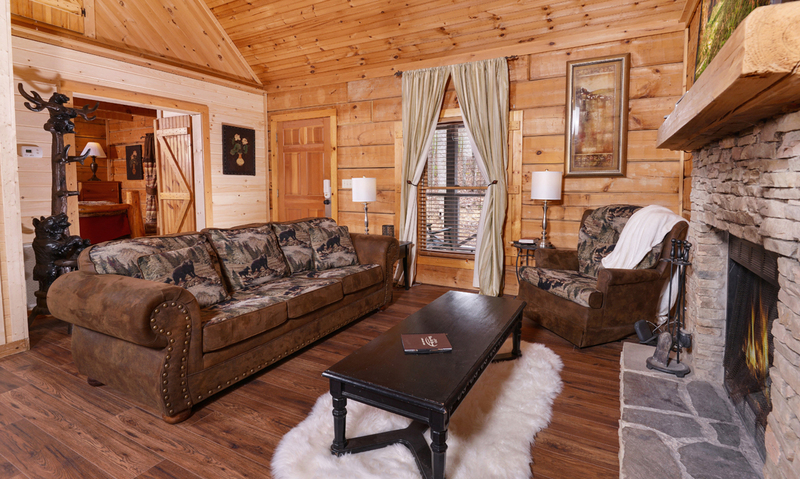 This 1-bedroom, 1-bathroom cabin includes everything you’ll need for your stay in the Smokies. 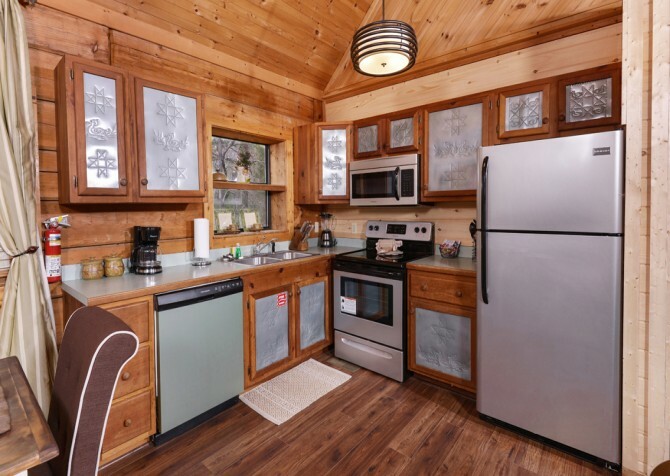 A fully equipped kitchen will allow you to cook your own meals—maybe a hearty breakfast before a day of exploring or a nice, easy dinner to end the day. 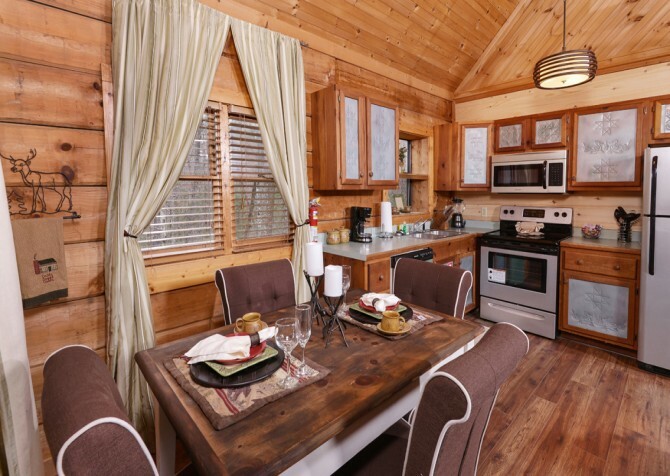 Enjoy these meals or a game of cards or Scrabble at the dining table, which seats up to 4 comfortably, or outside on the back porch. 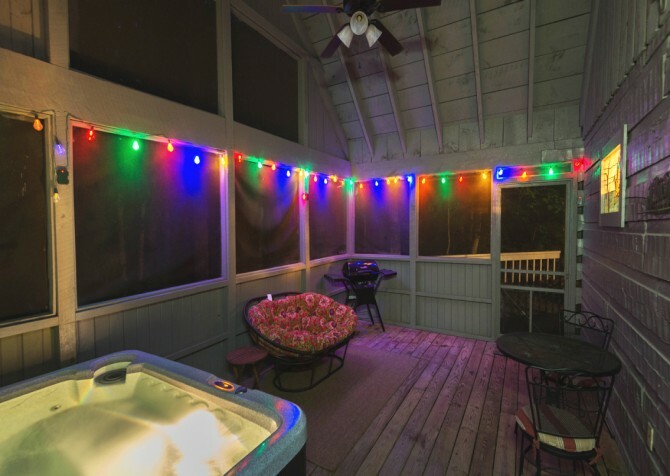 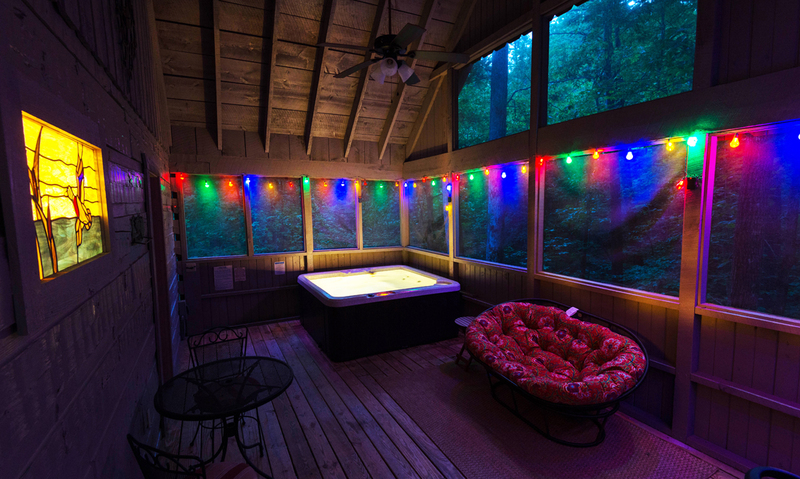 Take some time to listen to the evening crickets out on the front porch swing, and end your day with a relaxing soak in the hot tub or in your own private jetted master bath tub before slipping into bed for a restful night of sleep. 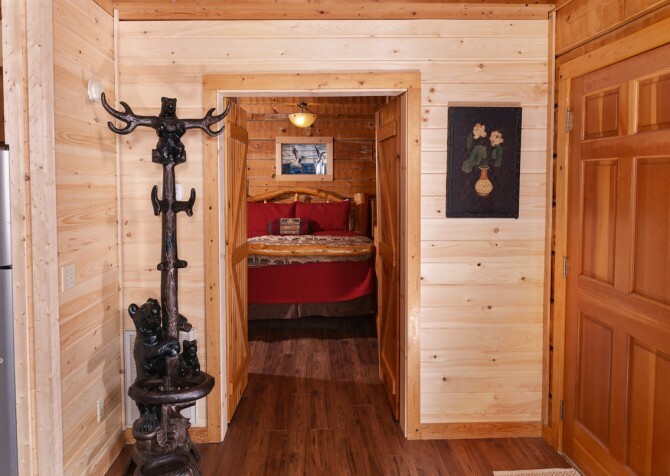 It’s the perfect place for a couple's vacation. Check out one of eighteen exciting restaurants located at The Island, including Paula Deen's Family Kitchen. 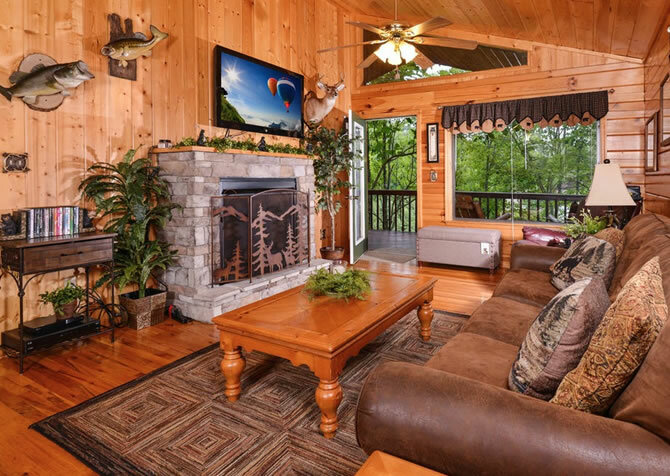 Or you can catch a fountain show, hop over to Ole Smoky Moonshine for a tasting, browse through 60 shops, and more at this popular Pigeon Forge destination. "Check in and out was great and hassle-free. The cabin was very cozy and perfect for our family of 4. 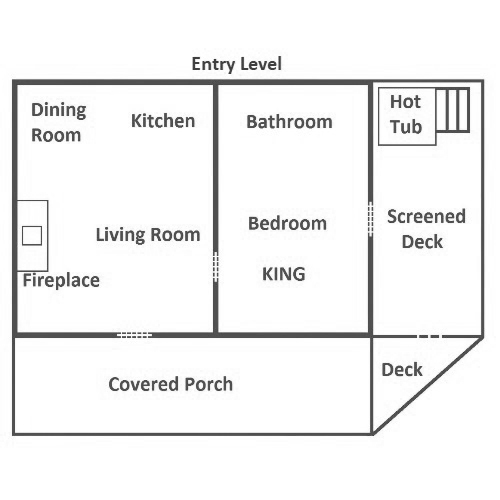 (Children 9yrs and 1yr). It was completely stocked and clean. 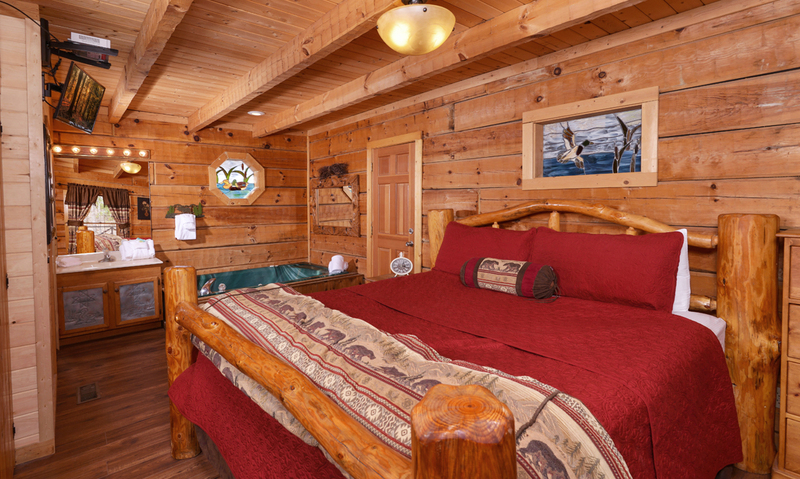 The bed was huge and very comfortable for a short person it was a little…"
"Check in and out was great and hassle-free. 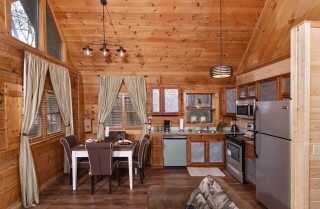 The cabin was very cozy and perfect for our family of 4. (Children 9yrs and 1yr). 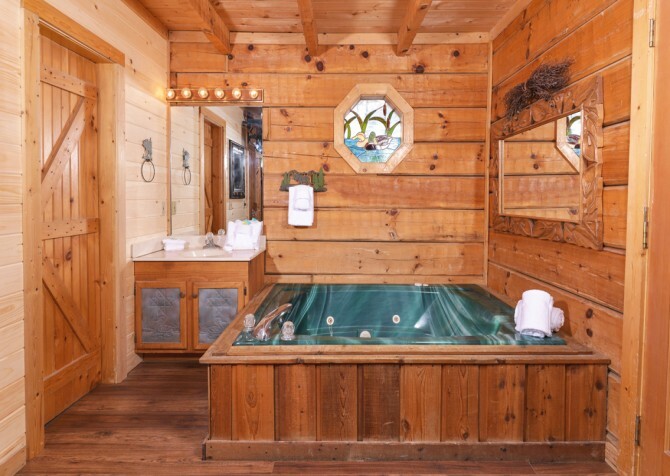 It was completely stocked and clean. 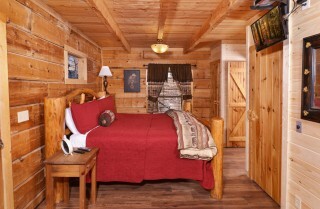 The bed was huge and very comfortable for a short person it was a little difficult to get into though. The couch and chair in the living room were also very comfortable. We absolutely loved the kitchen table and chairs. The fact that you had to go through the bedroom to get out to the hot tub on the enclosed porch made it so much safer and gave ease of mind for having children with us. 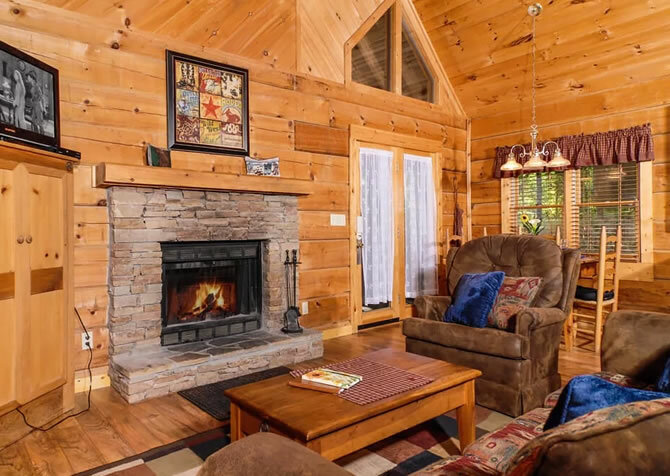 The cabin is very sound proof as it rained on our last night there and we didn't even know it and on our first morning there a squirrel got attacked by a bear and we wouldn't have known it if we wouldn't have been on the screened in porch and see it walk behind the cabin. The only thing I would have changed or wish would have been different is the hot water heater isn't big enough to fill up the large jetted tub. 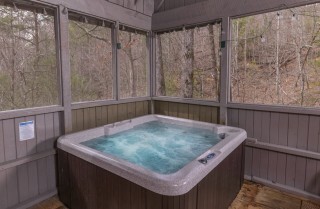 It only lasted a little over half way which was fine for bathing the kids but not for a relaxing soak. The shower had great water pressure and heat but the bathroom floor gets pretty wet. 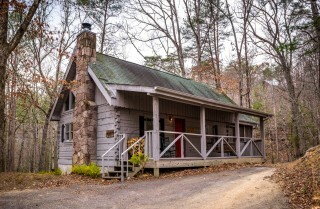 The toilet paper holder was a twig from what I'm assuming was from out back. It didn't like to stay on hooks. 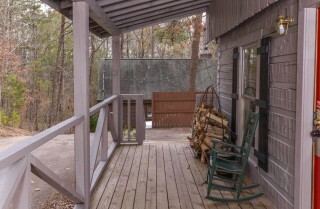 The drive to the cabin was pretty easy with our Tahoe but the driveway to the cabin is pretty steep. 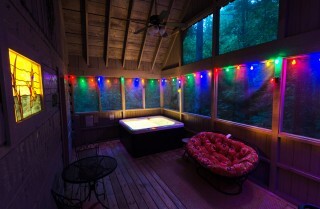 I wouldn't want that drive in heavy rain, snow or ice. This was the 1st time we rented from Cabins For You and we will definitely be returning customers." Thank you so much for the great review! 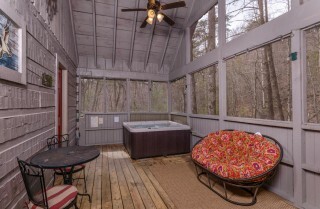 We are so happy to hear you enjoyed the cabin from the hot tub to the cozy living room! 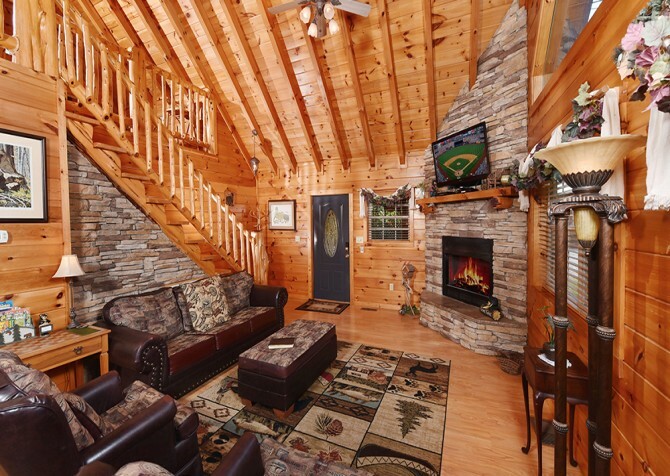 We are looking forward to your next stay with us in The Great Smoky Mountains!